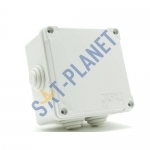 These IP55 Waterproof Electrical Junction Box. 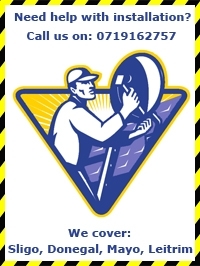 WHAT YOU GET IP5.. 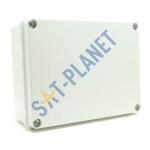 These IP55 Waterproof Electrical Junction Box. 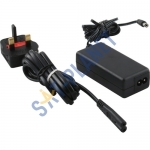 WHAT YOU GET &nb..
High quality power supply for CCTV cameras. 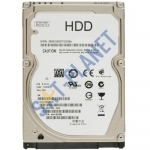 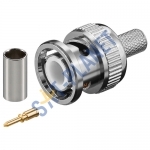 WHAT YOU GET 12V - 1A Power s.. 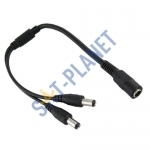 These 2 way DC power splitter for CCTV cameras allows 2 cameras to be powered by single power supply.. 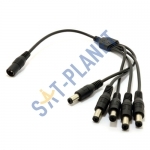 These 4 way DC power splitter for CCTV cameras allows 4 cameras to be powered by single power supply.. 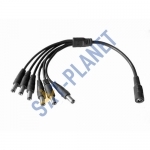 These 5 way DC power splitter for CCTV cameras allows 5 cameras or 4 cameras and DVR to be powered b.. 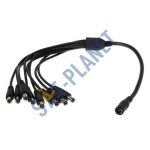 These 6 way DC power splitter for CCTV cameras allows 6 cameras or 5 cameras and DVR to be powered b.. 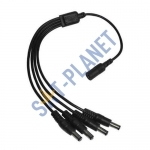 These 8 way DC power splitter for CCTV cameras allows 8 cameras to be powered by single power supply..
Commercial Grade BNC Compression Connector is premium quality product designed to provide .. 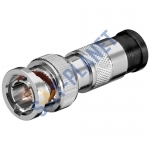 This BNC male crimp two piece connectors is a premium quality product designed to provide a professi..